Wayne County Sheriff's Department Chief Deputy Mike Mozingo spoke with with Clara Elementary First Graders on Wednesday, March 30, 2016. 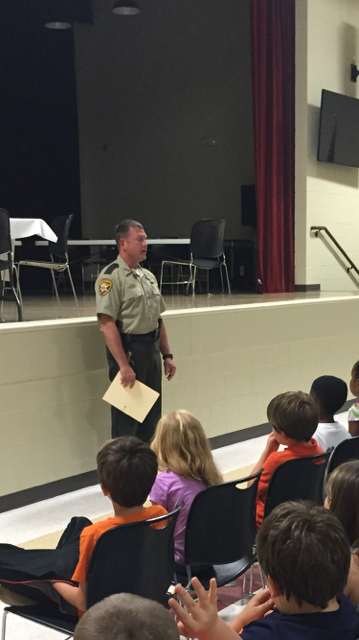 Chief Deputy Mozingo made a presentation about school bus safety and stranger danger. "We feel that getting these young children thinking about being safe and being aware of their surroundings is one step of towards crime prevention. 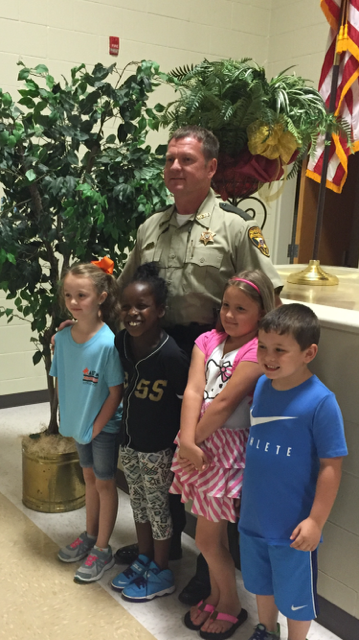 The safety of everyone is important but even more so with children," said Chief Deputy Mozingo.